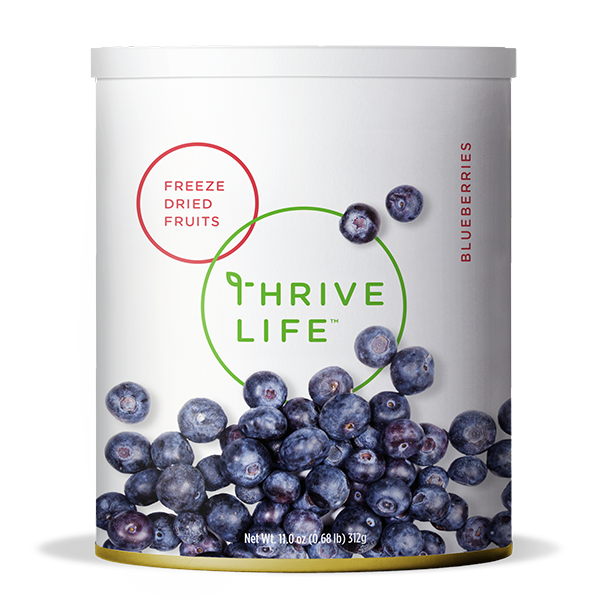 THRIVE Blueberries are an amazing source of nutrition and taste! They are delicious straight from the can, or they can be rehydrated and used in favorites like muffins, pancakes, ice cream, cereal, or smoothies. Add ⅓ cup of water to 1 cup of THRIVE Blueberries, and let sit for 5–10 minutes or until tender. Drain excess water if needed. Add them to a parfait or a fruit compote for topping pancakes, or try crushing them and using the powder to color frosting naturally! Turn it into waffle batter by mixing 1 1/2 cups mix with 2/3 cup water and adding 2 tbsp. Whole Egg Powder or Scrambled Egg Mix (mixed with 1/4 c. water) and 1/3 c. vegetable oil.